Meet Wendy Steele who is another confirmed participant of The Llandeilo Book Fair on Sat April 30th. Welcome Wendy! First up, please tell us about your connection to Wales. I fell in love with Wales 15 years ago on our first family holiday to the area and my partner and I followed our dream to live here, arriving in August 2013. We lived in a tent for a couple of months while our purchase went through and finally moved into two rooms of our dilapidated farmhouse in November 2013. Upstairs is still not liveable but at least we have a roof, rather than a piece of flimsy tin! In 1972, I came home from the Tutankhamun exhibition in London and wrote a poem. I haven’t stopped writing about my experiences ever since. My first piece of paid writing was in The Dancing Times after attending my first belly dance workshops, an article about a beginner taking her first steps on her dance journey. I trained in alternative therapies, belly dance and writing and published my first novel ‘Destiny of Angels – First book in the Lilith Trilogy’ in 2012, closely followed by two short story anthologies and a non-fiction book ‘Wendy Woo’s Year – A Pocketful of Smiles’, an inspirational guide, offering ideas, meditations and recipes to make every precious day, a happy one. The Welsh countryside inspired me to begin The Standing Stone book series about the lives of three women, linked across time and space by the standing stone. I’ve joined a writing group, The Cwrtnewydd Scribblers, and writing workshops in Wales have widened my writing perspective. The resulting short stories have been published online and in anthologies. Having been brought up in a Christian household but finding no connection with the church in my adult life, I read widely on spirituality, gathering together an eclectic mix of beliefs and understanding. The magic of the amazing world we live in was always dear to me as I talked to the moon as a child so writing fantasy, especially magical realism was a way to share, opening up a different world to readers. 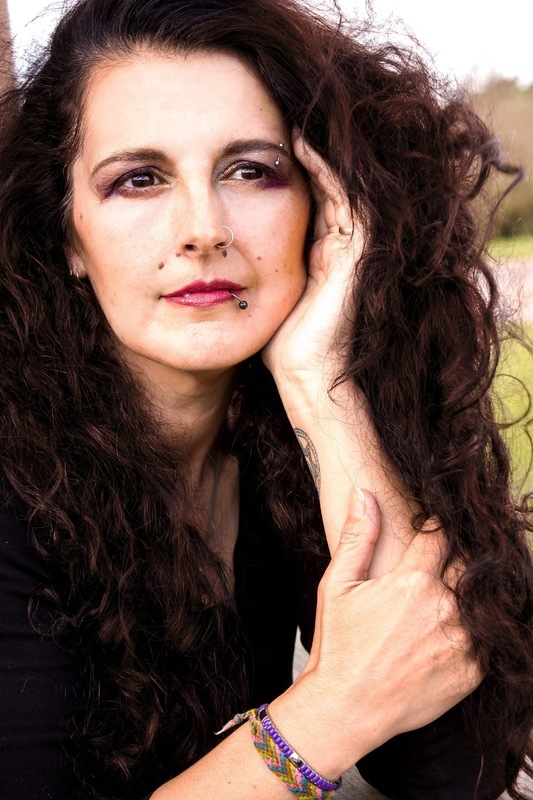 The concept behind all my stories is ‘What if…?’ In the Lilith Trilogy, what if a traumatic childhood experience sent a woman on a different life path? Gifted, beautiful and wealthy and with a rapport with Lilith, the Dark Goddess, Angel and her friends confront the perpetrators of her misery, offering them the opportunity of redemption. 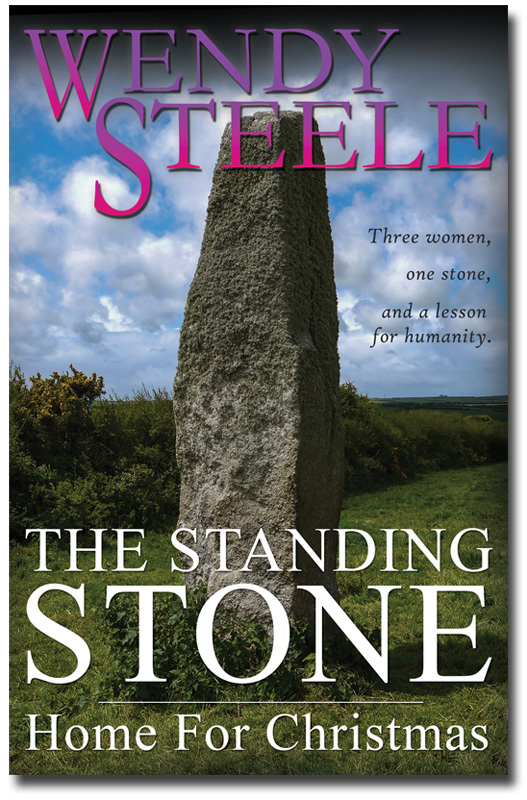 While the Standing Stone series was inspired by, what if the power of ancient stone was not only linked in the present but across time and space, how would three different women’s lives be aided by their interaction with the Goddesses of the Land? Aside from writing, I’ve been teaching belly dance for 8 years, beginning with traditional Egyptian dance before I found my true calling to American Tribal Style® Belly Dance. I danced with Tribal Unity in Essex for four years before moving to Wales and I’ve been teaching classes here since March 2014. As a chubby child, labelled ‘fairy elephant’, I came to dance late in life but relish every day I have the opportunity to teach or perform. Renovating our Grade II listed farmhouse and byre requires physical perseverance as we remove concrete slapped on walls and restore the stone with traditional lime mortar. Dealing with the planning department at the council, as well as CADW, the listed building organisation in Wales, has proved time consuming and frustrating but we take small steps forward each month towards our dream home. As 2016 begins, I’m spinning an alarming number of plates! The third Standing Stone book, ‘The Gathering’ is in the process of final edits and I hope to have it available for the Llandeilo Book Fair in April. My target to produce a new short story each week is being met and having had a number published online and in anthologies, I’m working on one of my own, highlighting the strength, resilience and power of women. The first four sections of the third book in the Lilith Trilogy, Angels and Demons, are undergoing rewrites and my plan is to finish the trilogy by the end of the year. The best part of writing is sitting in my dressing gown with my fountain pen and a pad of paper and letting my stories develop on the page. As a ‘non-techy’ the worst part is organising promotion, as I wander blindly through the intricacies and ever changing landscape of social media. Choosing one favourite book is impossible! I reach for different genres, depending on my mood. Dion Fortune’s books take me on magical journeys while the late Sir Terry Pratchett, is comfort reading, especially books about Granny Weathwax and Nanny Ogg. For historical journeys, I’ve enjoyed your books, Christoph and love anything about the early history of Britain, from the Stone age, through Roman and Viking invasions, to William the Conqueror and beyond. I’m reading ‘Your Faery Magic’ by Halo Quin on my kindle at the moment, alongside ‘Moon Magic’ in paperback while also dipping into ‘The Hedgerow Handbook’ by Adele Nozedar, with a view to foraging herbs and fruit for syrups, cordials and baking. Book reviews are so important to a writer. It’s sad about Amazon’s heavy handed approach to removing reviews they deem illegitimate as this puts readers off from reviewing. I take all criticism, think about it and then analyse its relevance. Not every reader is going to enjoy my writing. The reviews I received for ‘Destiny of Angels’ were invaluable. Some highlighted ‘point of view’ issues that I was able to rectify while writing ‘Wrath of Angels’, the second book. Fifteen years later, with the help of her new ‘family’ and the resurrected relationship with Jenny Parkes, her only friend from school, Angel confronts the perpetrators of her misery. Rather than seeking revenge and to free herself from her past, Angel uses the skills she has acquired to offer her persecutors the chance of redemption. Will Angel fulfil her destiny and put her past behind her or will the demons she unleashes consume herself and her ‘family’ and leave her empty and alone once more? 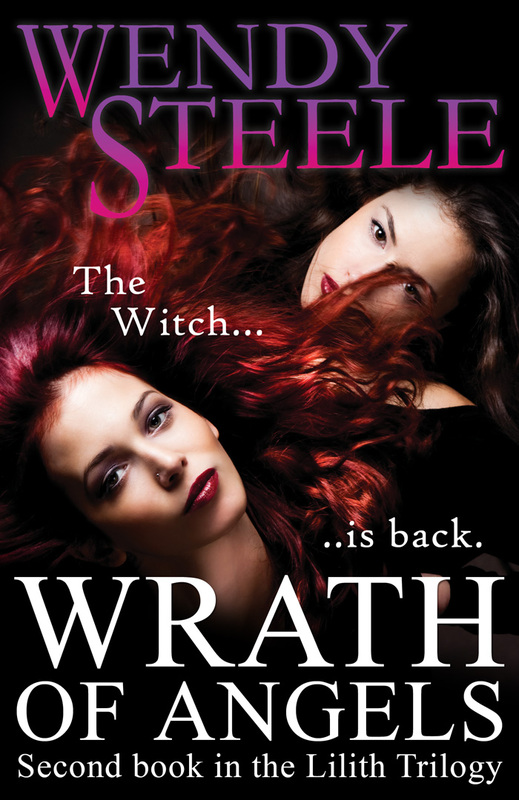 Angel Parsons – wife, lover, entrepreneur and witch – is back and though she strives to put her past behind her, Lilith the Dark Goddess has other ideas. Angel has the power at her finger tips. The choice is hers. Will she evoke her wrath to take her revenge on Lilith or will she summon nature’s forces and the strongest emotion on earth to put right the wrongs of the Dark Goddess? Rachel arrives in Wales to begin a new life but will Marcus jeopardise their future together before it’s begun? Candy knows the punishment for leaving Station 23 unguarded. Will she succeed in convincing Paul to obey the Lesson? Fern loves her life in the village but when the Tall Folk arrive with metal working skills, will her peace be shattered forever? Though distanced by time and space, three women find the Standing Stone and the teachings of the Great Mother, Binah. Once upon a time, two eleven year old girls made a pact of friendship. One left school at sixteen while the other stayed on to study. The friendship remained. One went abroad while the other stayed at home. Years passed, marriage and children followed and the friendship continued to flourish via letters and video messages. After twenty nine years the girls were reunited and the friendship sparked with renewed love and affection. Three months later, one friend was diagnosed with cancer. Nine months later, she died. I was the girl who lived and I made a promise to live my life for two and make sure that every day included a smile in memory of my beautiful friend. It isn’t easy and I don’t claim to hold the key to a life of everlasting happiness but the ideas in ‘A Pocketful of Smiles’ are used or have been used by me and have brought smiles and happiness to my life. ‘A Pocketful of Smiles’ is about being happy, irrespective of the challenges life brings. ‘A Pocketful of Smiles’ is often practical, sometimes spiritual but never religious, occasionally witty and full of ideas to bring a smile to your day.